We do custom crafted outdoor patio cushions serving the great city of Beverly Hills, CA. We are artisans making new custom outdoor patio cushions residential and commercial. 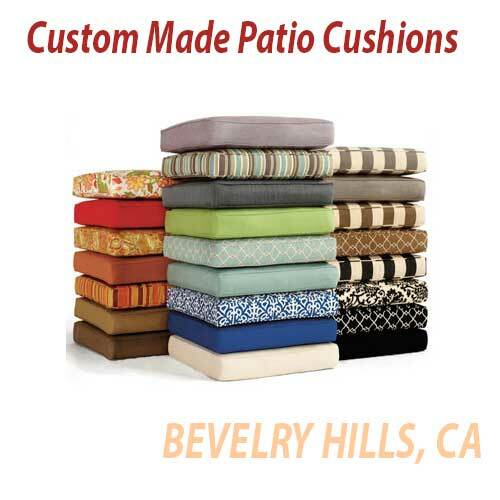 For over 25 years we have being serving patio cushions and general outdoor upholstery to citizens in Beverly Hills. Free Quote in your location, also you get free pick-up and delivery included in all projects. Call the best artisans in Beverly Hills (323) 706-9552, Manny Lopez will help you with your replacement or new custom made patio cushions.